The skeletonization technique removes any unnecessary millimeter from the structure of a movement and creates real works of art. The pleasure of admiring movements and their fascinating mode of operation has always been an attraction in the watchmaking world. Ever since the time when there were only pocket-size watches, enthusiasts preferred to have fully skeletonized pieces, with only minute and second indicators as classical elements. The progress towards wristwatches has not taken the edge off “transparent” movements, and craftsmen who were able to sculpt miniature pieces continued to be well appreciated for their creations. Modern times breathe new life into the “skeleton” concept. The computer design of movements and the modern production techniques of the components that make up the contemporary models allow for the development of revolutionary ideas, which could not even be conceived a century ago. The most courageous manufactures come up with watches that offer a complete show of the activity inside. The minimalist structures part with the original idea of a movement freed from bridges and pinions, and they are only made up of such elements as are strictly necessary for the good functioning. The Cartier jewel launched at the beginning of 2017 uses the 448-component manufactured caliber known as 9407 MC, which offers a minute-repeater complication similar to the one found in the most complicated watch ever produced by Cartier – Grand Complication Skeleton. This time, in order to maximise the volume of the two chimes, the 45mm titanium case has been “emptied” of any excess material. Most bridges and the base plate are made of rhodium; besides, as with all Cartier’s tourbillon movements, we have the guarantee of a faultless execution that does not deviate from the Poinçon de Genève-specific standards. The transparency of the watch reaches maximum levels around the double tourbillon visible in a special aperture at 10 o’clock; the tourbillon makes a one-minute revolution on its own axis, and another 5-minute revolution around the 15.5mm aperture. Like all Cartier’s “mysterious” watches – a story begun in the 1930s – the new model owes its mirage to the mounting of the tourbillon on a sapphire disc. 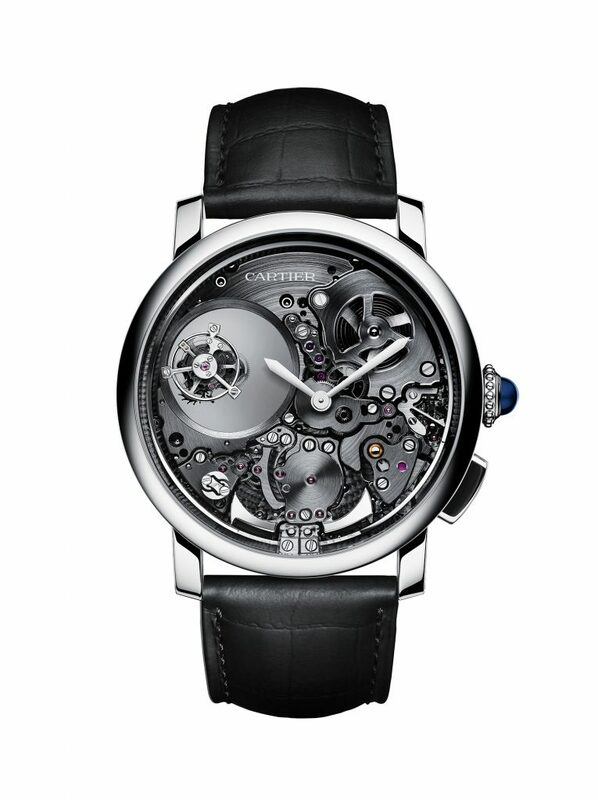 Cartier will produce this model in a limited edition of 50 pieces. Other 30 pieces with diamonds on the bezel and 20 pieces with a case entirely covered in diamonds are also available. The power of the El Primero movement, which Zenith has been presenting since 1969, is brought back to the forefront with the new Defy El Primero 21 chronograph, where “21” refers to the 21st century, which longs for such a precision level. The watch advances an impressive performance for a mechanical movement, namely the possibility to measure time down to a 100th of a second. The movement includes two different escapements, each with its own balance spring made of a new revolutionary material called Carbon-Matrix Carbon Nanotube. One escapement is for the chronograph, which operates at 360,000vph, while the second one – with 36,000vph – is only used for the hour and minute indicators. To emphasize the speed of the chronograph, when in motion, the indicator for the hundredths of a second performs a full turn every second and the entire energy consumption at such high frequency translates into 50-minute autonomy, permanently monitored by a power-reserve indicator placed at 12 o’clock. 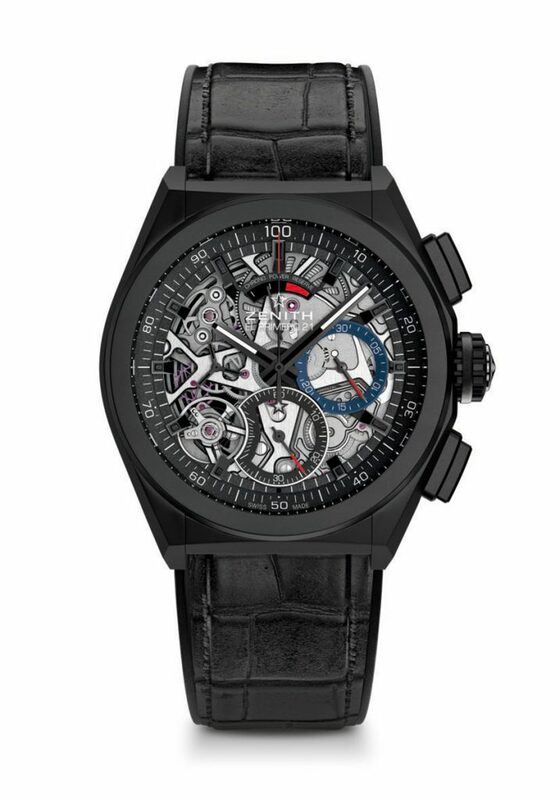 Although Defy El Primero 21 is also available in a classic silver dial version, the show is complete with the skeletonized version, where everything that happens inside the 44mm titanium case is fully visible. 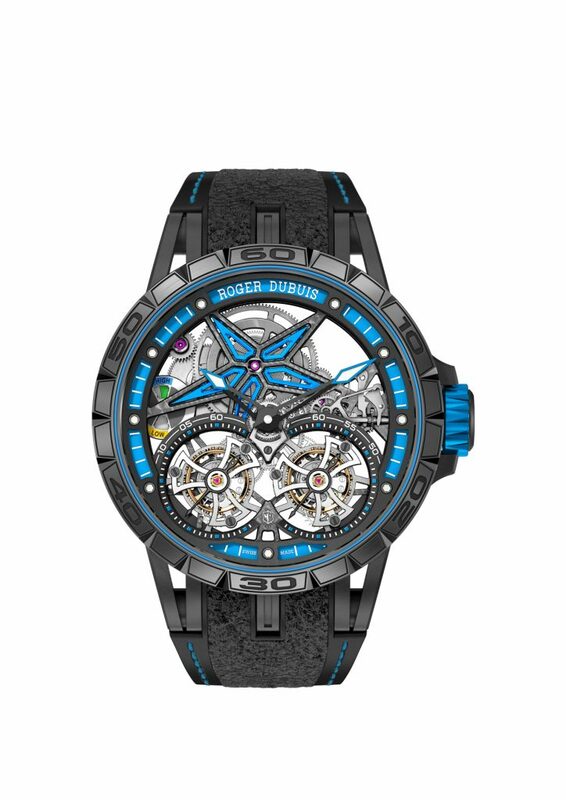 The master watchmaker Roger Dubuis can be considered a genius of skeletonization of any kind. The brand that bears his name today competes in the haute-horlogerie segment precisely because Dubuis has managed to create a unique profile by removing any milligram of metal that was not absolutely necessary. The basic structure, dominated by the five-pointed star-shaped bridge, makes Excalibur Spider unmistakable with any other watch. The new addition to the top collection receives a double flying tourbillon and the contribution of a sports partner from the F1 industry – the producer of the Pirelli motorsport tyres. Produced in a limited edition of 8 pieces, like most Roger Dubuis watches, Excalibur Spider Pirelli features a 365-component skeletonized movement, which impresses by the display of the two tourbillons whose openings are marked on the edges, like car speedometers. The power reserve also resembles the racing car fuel gauges. The 47mm titanium case distinguishes itself by the blue rubber accents, the specific blue shade being exactly the official Pirelli color. The customers receive a certificate stating that the rubber strap comes from tyres used in actual F1 races, including details about the respective race and car. The experience continues with a two-day invitation to a motorsport event. The announced retail price is CHF280,000.